Citroen has launched a new range of DS3 special editions for the start of the new year. DS3 Pink is a fun, fresh and fuchsia take on Citroen's award-winning supermini. Exclusive to the UK, the eye-catching models are on sale from January 2014, with prices starting from £15,675. 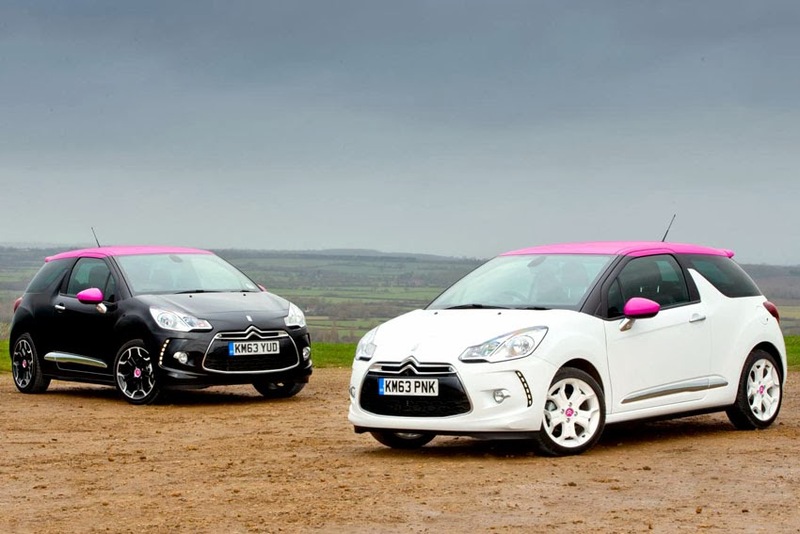 DS3 Pink versions are available with polar white or perla nera black body colours and feature additional specification above and beyond the existing DStyle and DSport equipment levels. There are four engines to choose from across the two trim levels. Owners of the DS3 DStyle Pink will enjoy 16-inch 'Ashera' black or white alloy wheels - to match the chosen body colour - as well as a hi-fi system upgrade with additional speakers on top of the usual DStyle specification. Meanwhile, the range-topping DSport Pink boasts 17-inch 'Bellone' black or white alloys, plus the addition of a 'City Signature' pack, which includes automatic headlights and wipers, rear parking sensors, heated and electric folding door mirrors and a front central armrest. DS3 DStyle Pink is available with either a VTi 120 petrol engine or an e-HDi 90 Airdream diesel power plant that produces just 95g/km of CO2. DS3 DSport Pink is powered either by a punchy and engaging THP 155 petrol or an impressively efficient e-HDi 115 Airdream diesel engine - both are mated with 6-speed manual transmissions.